Cytomegalovirus (CMV) is a common viral infection that is easily acquired in the community setting and is usually mild and self-limiting, although it can potentially have serious consequences for pregnant women, babies and some immunosuppressed patient groups. CMV can also be transmitted through a blood transfusion. All Australian cellular blood products (except granulocytes) are leucodepleted (removal of white cells). In January 2014, JBC approved the establishment of a JBC working group to oversee the development of options to produce a national statement on indications and prioritisation for apheresis and whole blood platelets and CMV seronegative blood products. 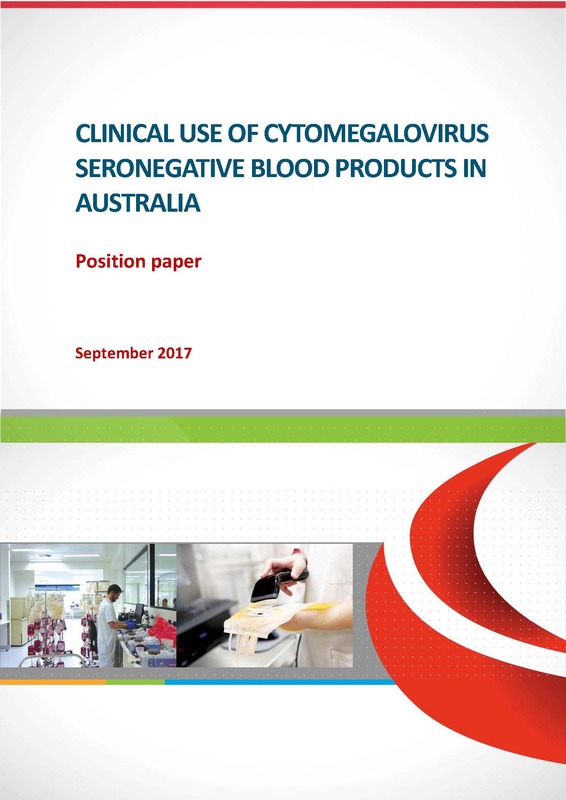 In April 2016, JBC endorsed the Clinical Indications for Apheresis and Whole Blood Platelets – A National Statement  and agreed to the JBC working group producing a statement on the Clinical Use of CMV Seronegative Blood Products as there were multiple sources of guidance published already based on the available evidence and differing expert opinion. The working group reviewed international practice, current literature and local guidance documents with the intent of developing a national approach to the clinical use of CMV seronegative products. The position of the working group endorsed by JBC, and based on the Expert Opinion Points in the Patient Blood Management Guidelines, is that only laboratories that provide blood products to paediatric or pregnancy and birth services should hold CMV seronegative inventory. The NBA will work in collaboration with key stakeholders to implement the recommendations, including education and training on the risks of CMV transmission via transfusion versus community acquired infection, and the development of audits for health services to understand where CMV seronegative blood products are used. Further information will be made available when completed.